Cut out the foam into a cute tree shape, dip it in the black ink pad and stamp it on the brown paper in whatever pattern you wish to. And just using red and green colors, paint free hand the way you love to. Enjoy the fun. 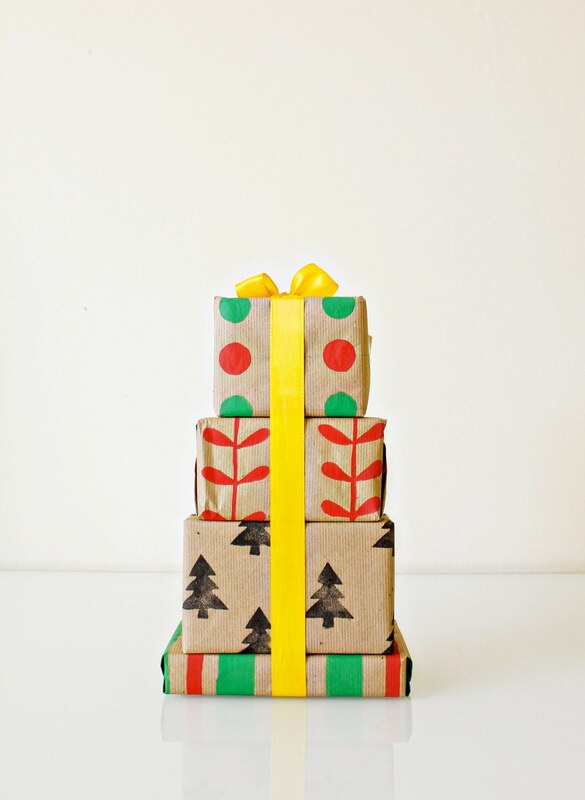 Now wrap each one of the gifts in different papers. And simply tie a bow to accentuate and to secure them.